Take 1 to 2 glasses per day, as needed. Refills? Yes, please. Printed 11-oz. 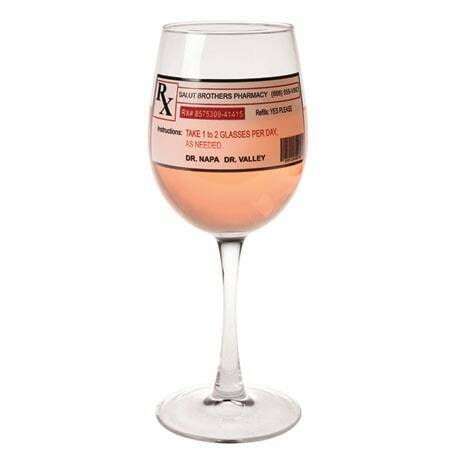 wine glass is just what the doctors ordered -- Dr. Napa and Dr. Valley. 8" high. Pair with a bottle (or two) of wine for the perfect gift. • Funny wine glass for every wine lover. • Drink your next glass of wine under strict order from Doctor Napa and Doctor Valley. • Makes a fun conversation starter at your wine parties. • Standard size glass holds 11 oz.